Retaining its original bore size but extending its stroke from 85 to 91.5mm to give a displacement of 1933cc. Other cars using the 2ZZ engine can also benefit from the improved performance. Two versions have been designed a high compression version for normally aspirated 2ZZ engines, and a low compression version for the 2ZZ engine using either a turbo or supercharger. Please use according to your requirements. 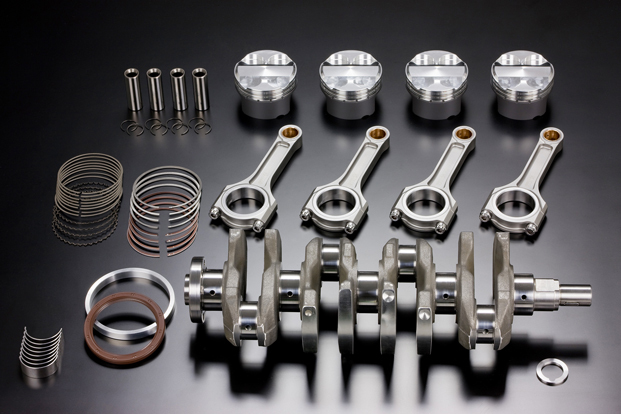 Connecting rod bearing clearance is measured and set by our highly skilled technicians. Toyota’s 1ZZ flywheel must be used. The clutch disc and plate of the 2ZZ can still be used. "2ZZ TODA Heavy Duty Oil Pump" designed to replace the standard oil-pump with improved material and finish. Recommended for any body either sports driving or circuit driving.